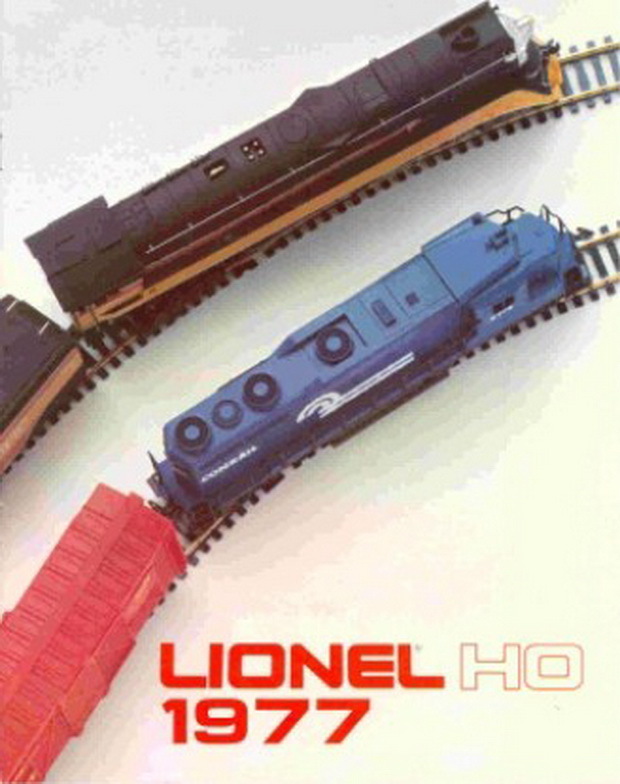 1977 Lionel HO Catalog 12 Pgs. Mint Condition. - $4.50 : Olson Hobbies, Welcome To The Train Page! 1977 Lionel HO Catalog 12 Pgs. 1977 HO Lionel Catalog 12 Pgs. Mint condition Lionel HO 1977 Train Catalog. Has color pictures of assorted Lionel Sets and rolling stock, offered in 1977. Some of the sets offered were the UP Great American Set, the Burlington 181 with the BN GP 30 pulling 6 freight cars. The Popular Southern Pacific Daylight and Freedom Train Loco and tenders were the top of the steam trains. Billboard Reefers, Box cars, and Scale Building Kits also are shown in this 12 page catalog.